If you have a McLaren then you should be able to find time to wash it. But when you are out to change the world or run any growing business that’s easier said than done. As a leader it should be as simple as communicating your vision, delegating to a smart capable team and measuring their progress. And no – it’s not a lack of time, people or money that holds us back – it’s the lack of access to quality and timely information. Take what should be the easiest and most controllable in-house aspects of your business – like information about your people, productivity, profitability and cashflow. 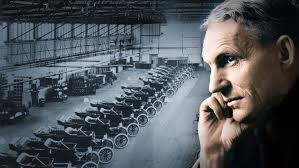 While Amazon and Uber are examples of frictionless financial operations developed just this century most accounting and financial operations information is no better or timely than when Henry was building the Model T.
Advanced design, engineering, tuning, performance, automated and timely instrumentation and safety are principles that should apply to your accounting and operations not just to your McLaren. If you are to get the quality and timely information you need to run your business and free up the time to wash and drive that car of your dreams your financial operations need to change. Start by evaluating how, roadmapping the what and when, and re-designing your information flow to harmonize and remove friction. Then continuously transform your financial operations as you grow.